Facebook News Feed Algorithm - All You need to know! Facebook is continuously updating the algorithm to help users get more involved and view the posts which really mean a lot to them. Internet marketers were not much aware about the Facebook news feed algorithm previously and they only became aware to the way it works by just doing the experiments and acquiring the results from them. But now Facebook has decided to go more transparent and thus they just have launched a blog for the marketers where they will surely reveal some ways to take benefit from Facebook regarding your small or large business. Facebook has recently announced a news feed algorithm update which focuses on new things for a better user experience. 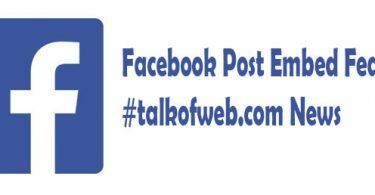 If you own a page or a small business over Facebook then you should be aware of the new Facebook news feed algorithm to expand your every post reach on Facebook. This news feed updated algorithm promises some more quality for your precious news feed which helps you to get updates from your loved ones. Following are the things which will be much important for the post which you are going to publish from your Facebook page or profile. The new news feed algorithm just concentrates on one goal which is “The right content for your news feed at the right time” so that you may not miss any kind of valuable content which really means alot to you. Also it just allocates the material depending on its importance, depending on it’s likeness to get users engaged. They have stated something like this on their blog that every common user which visits his facebook gets so many posts on the home feed. Majority of the users have no time to keep a check on every one of them. Thus, this Facebook News Feed algorithm will help them to never miss a single important post and thus, it will bury deep those unimportant posts under the news feed others posts. Facebook has stated that this new algorithm might not be perfect but if it will not be used then the total engagement of the users gets down, by engagement they mean number of likes and comments which happen as a whole. Without this algorithm there may be so many posts that without ranking them properly one can miss the important post from a public figure or page. Filtering through all the posts which don’t mean to you will make you more and more frustrated and eventually you will end up giving with news feed. This new algorithm works by filtering out your interests and keeping those posts which matter a lot for users. Everything which you hide from newsfeed will send a negative response to the Facebook news feed algorithm and next time posts from that source will not count much important, and every post which you comment on and like from a specific page or public figure will let facebook news feed algorithm to rank the posts from that specific source higher. Thus whenever a user likes something then news feed algorithm gets a positive point to rank information from that source more higher. What matters for News Feed Algorithm – What marketers should also know! How often one facebook users interacts with that specific friends, page or public figure who has posted something. The total number of likes and comments which a posts receives from the world and some of your friends. The higher the number of likes and comments the more are the chances that it will get ranked higher in user’s news feed. The type of post which matters, like how one has interacted with such a post in past. Like if some specific post engaged the user then that type of post will be ranked higher next time in user’s news feed. Whether it’s that specific user or else it’s the world which is reporting or hiding the post, it will downgrade that post ranking in the news feed. Those organic posts which will be much below due to which one wasn’t able to see them while watching other posts will be ranked higher later so that user may be able to see that post too. Thus, giving every post the chance to get ranked in the eyes of reader. But that organic post must have got good reach. It has surely helped facebook to get more engagement from the users. They have tested this new algorithm with some of the chosen users of facebook and the insights are good. 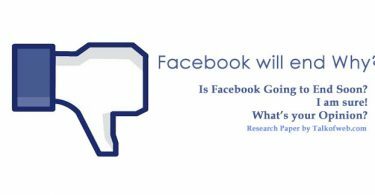 The Facebook has seen a 5% of the increase on their friends’ posts shares, comments and likes. While on the other hands the facebook pages have experience a 8% increase on post shares, likes and comments. Which is a welcoming change. Previously the fraction of unread stories was 43% and later with this new facebook news feed algorithm that got reduced to 30%. Thus it means that 70% posts are being read by people. Thus, the marketers should take care of all the things, don’t forget to post content which may matter to the public because a one bad action against your content will let you a downfall on the long term basis and when this news feed update for facebook will roll out then surely reach for that bad material will go down depending on people interests. Be careful for the timing of the posts because a lot of posts at the same time will get grouped up because of the fast frequency and with this new Facebook News Feed algorithm chances are that those specific posts will get removed from news feed. Thus, there is a good news that this new algorithm will throwback spam. For those who care about their business and reach they should schedule posts at good intervals. An inlneligett point of view, well expressed! Thanks!